With the philosophy that property management is actually just as much about the people, as it is the property, Katrina Green is excited to be able to offer her clients a customised, personalised service. During her career in Property Management, which spans over 10 years, Katina has learnt that people are the crux of her business, and being able to cater a service to suit individual requirements is a benchmark she has set in her role as Operations Manager for Ray White Morris & Co Property Management. “We want to do things just a little bit different than other property management companies”, she says. “I know how important communication is when you are dealing with what is, in most cases peoples biggest assets. While one owner would like to be kept informed every step of the way, some owners prefer just to hear about the really important things. We plan on ensuring we not only meet our clientsexpectations, but exceed them”. In her role as Operations Manager, Katrina ‘runs the ship’, dealing with landlords, tenants, and properties on the ‘coal face’, setting up systems and procedures which will ensure that landlords receive top notch service and communication and have a real relationship with their property management team. Supported by business owners Stuart & Claire Morris, Katrina is well equipped to tackle everything that comes her way, and as she knows, in property management that could be anything. As an investment property owner herself, Katrina understands Property Management from both a professional and personal aspect. “I know the demands rental properties have on your time, let alone the stress they can cause”, she says. “My aim is to efficiently manage investment properties so that owners can get on with what is important in their lives, and leave the day to day management of their investment to us”. Looking for a change, Amber joined the Property Management team at Ray White Rangiora as a Cadet. With support from Katrina, Amber has been able to learn the ropes of property management and has taken on every opportunity and challenge thrown at her. 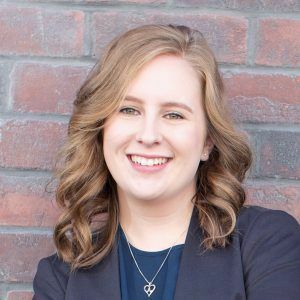 Having the ability to learn while on the job allows Amber to put the valuable skills and knowledge she has gained into practice in order to provide the best service to both owners and tenants. In her spare time, Amber enjoys cooking, photography and spending time with family and friends.